Sleep has been tough lately, I’m so excited about our upcoming trip to Europe, my head so full of plans and anticipation I toss and turn the whole night through. So when I woke up at 5am this morning, I decided to I might as well get up and watch a little morning Joe with a cup of joe. 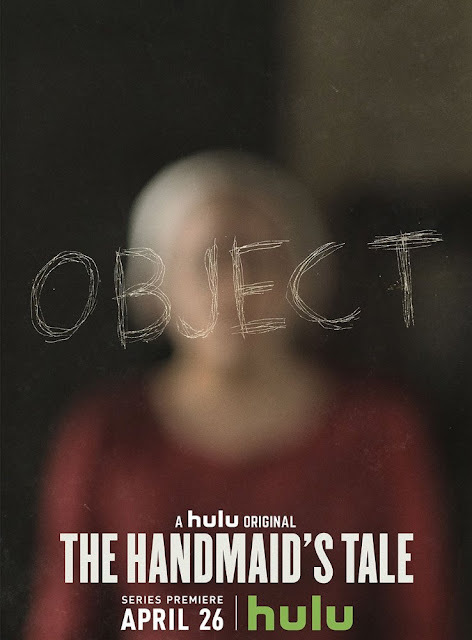 Until I remembered The Handmaid’s Tale was ready to stream on Hulu. I was thrilled to find Hulu had released the first three episodes and, yep, I watched all three of them. The show begins in the past with Offred, her husband and their daughter, running, trying to get away. It’s terrifying; a dramatic depiction that gave vivid life to a scene that author Margaret Atwood only alludes to in her taut and restrained dystopian novel. That’s how the series goes. Everything Atwood wrote about this future world where toxic chemicals are so rampant that many women have lost their ability to bear children, the women who are fruitful, forced to bear the babies of their superiors, is all there. But there is so much more. The horrifying possibilities that may have crossed your mind—and more—when you read Atwood’s novel, are fully developed in the series. Written by Bruce Miller based on Atwood’s book, the show goes back and forth between Gilead (the former US) with the dictatorship in full reign, and ‘‘the time before’’ back when women were still free individuals. What’s terrifying is seeing how the changes to the society came slowly into place. So slowly that when a right is taken away, it’s hard for the citizens to believe it is really happening. But it is. 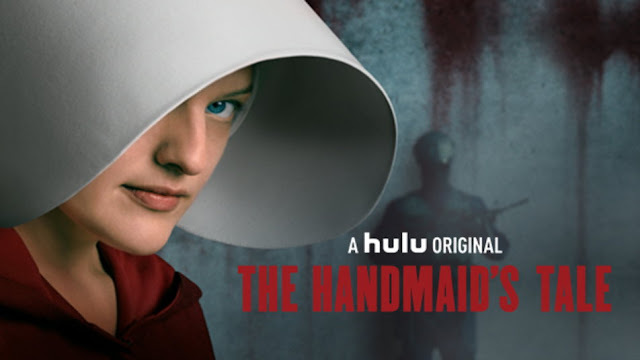 It would be hard for any left leaning liberal like myself not to see parallels between the series and the current political climate where our right wing government seems intent on denying us rights — women’s rights, LBGTQ rights, voting rights, the defunding of Planned Parenthood, and the intention to turn back Roe VS Wade. The little by little erosion of those rights is not an irrational fear, women in Texas are already living in a state where the government consistently seeks ways to make abortion difficult if not impossible. If abortion laws are returned to the states, Texas lawmakers will get their way and ban abortion altogether. Women in Texas who have abortions are already forced to participate in funerals for the fetus, and Arkansas, Louisiana, and Indiana, have similar “funeral for fetuses” laws in the works. THAT’S why The Handmaid’s Tale feels so frightening. Finding the entertainment in the horror is possible because we see the possibility of a world like the one the book and the series paints but we don’t really believe it could happen. One thing I know, we have to make sure it doesn’t. We have to RESIST. As far as pure entertainment goes, the first three episodes have me hooked. Director Reed Morano—a woman, by the way, cast the show perfectly, and brings the world I pictured while reading the book to life clearly. 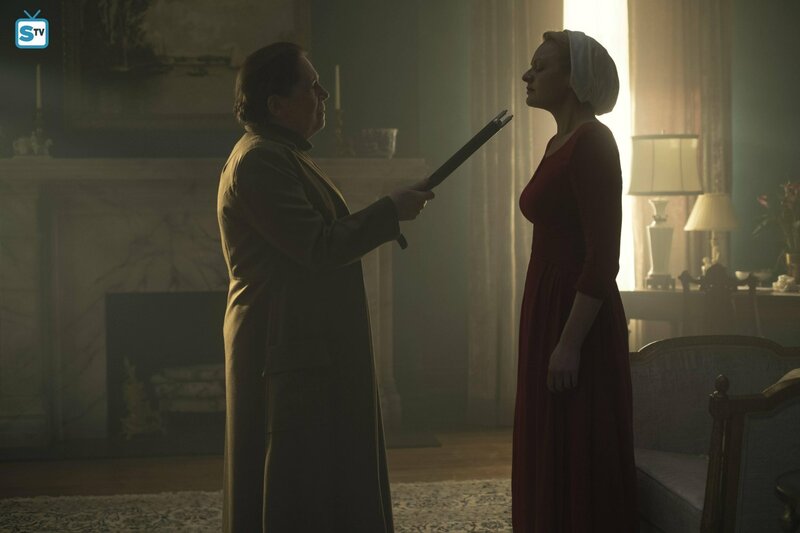 Elizabeth Moss plays Offred, her determination to be brave and bold buffered by her survival instincts. 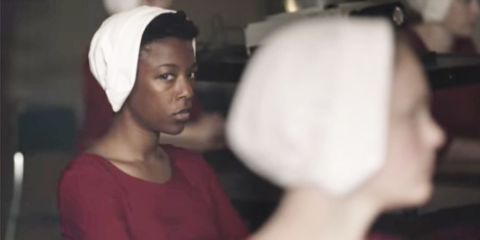 Samira Wiley is Moira, Offred’s friend from before, a woman who felt free to speak her mind, loudly and fearlessly, chastened by the new order where free speech will get you nothing but punishment from the aunts. 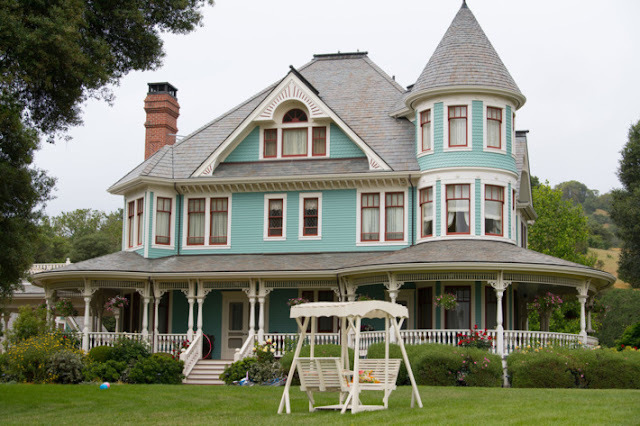 Aunt Lydia the overseer who seems to enjoy doling out the cruelty, is played with a frightening zeal by Ann Dowd while Alexis Bledel is the gay Ofglen who comes to trust and befriend Moss. According to Aunt Lydia ‘gay’ is not a word anyone is allowed to use, she calls Ofglen a Gender Traitor. 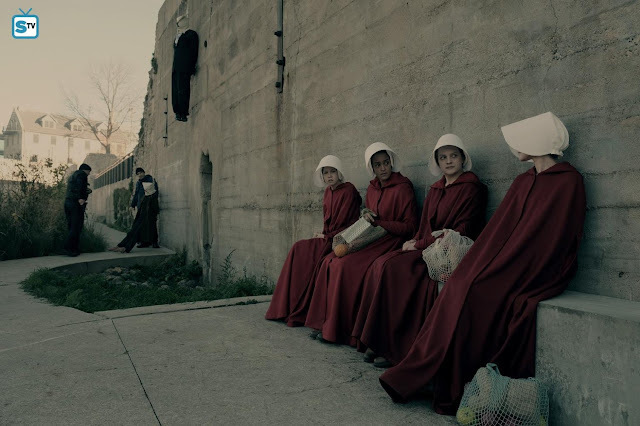 I don’t remember the derisive label from Margaret Atwood’s book, it may be one of the many additions by the series creators; it’s certainly a fitting one for the world of Gilead. Like I said, I’m hooked. But my husband and I will be away from our tv when the next episode airs a week from now and traveling in Europe for the rest of the month. I guess I’ll have something to look forward to when we come home! In the meantime, let me know what you think of the show in the comments section. 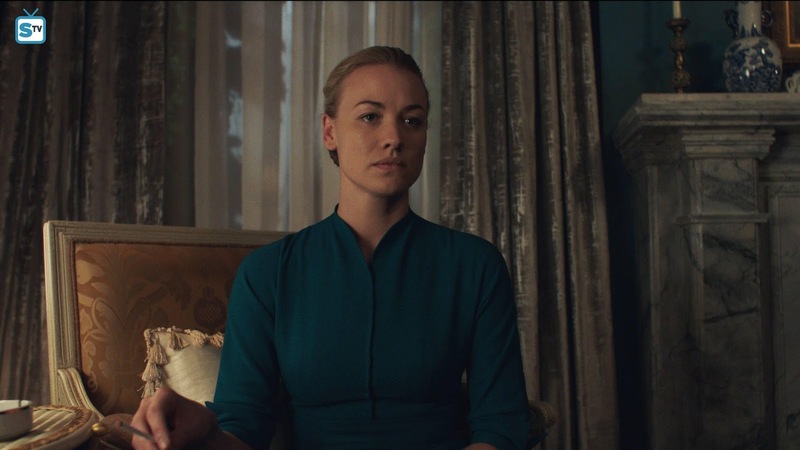 With Big Little Lies a memory and Feud: Bette and Joan now in the rearview mirror, is The Handmaid’s Tale your new must-see TV? PS I know. 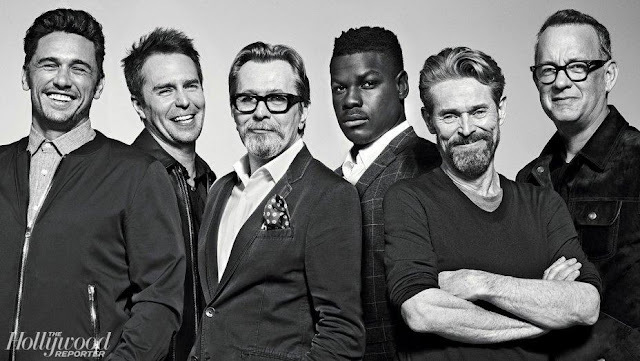 I didn’t mention the men. Joseph Fiennes is the commander, Max Minghella is his driver Nick with O-T Fagbenle as Luke, Offred’s husband. More, another time.